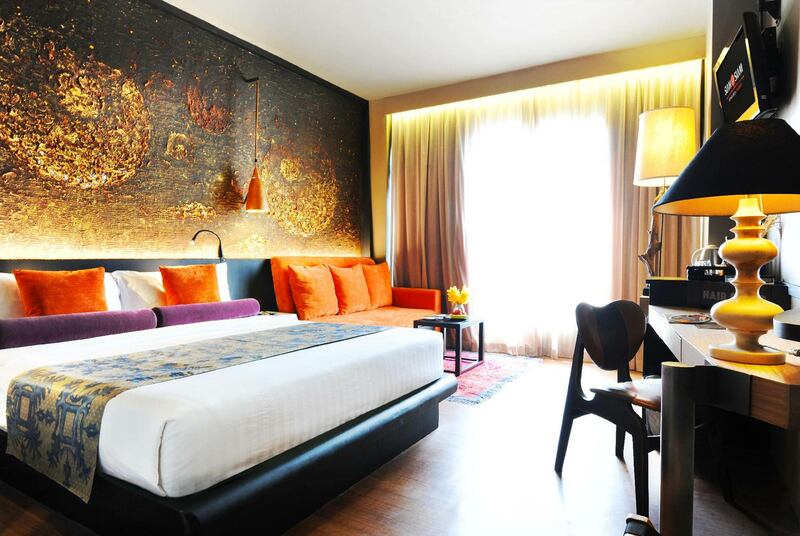 Siam@Siam Design Hotel Bangkok is a vibrant 4.5-star boutique hotel in the heart of Bangkok, offering the perfect ambience in which to relax during your business or leisure trip. Our recommended rooms under the concept of The Heritage blend Thai tradition with modern industrialist design. Find relaxation amid uniquely patterned walls that resemble colonial times complemented by the latest stereo system, comfortable mattress and luxurious amenities also you can experience My Club lounge that provides a scrumptious a la carte breakfast and all-day coffee, tea and snacks, as well as afternoon tea and evening cocktail sessions. Be sure to catch the sunset from our My Club balcony while sipping on a handcrafted cocktail.